Big Brother’s Kevin Schlehuber from BB19 is still recovering from cancer. Ex BB houseguests Chris “Swaggy C” Williams and Faysal Shafaat (Fessy) hosted a charity event supposedly to help the beloved reality star. But what happened to the money they raised? Kevin Schlehuber’s daughter took to Twitter last night and revealed that her father got just $500 from the charity event hosted by Swaggy C. and Fessy. Schlehuber’s daughter tweeted that her dad was sent a few hundred dollars from an event that reportedly made thousands. Last month, Swaggy C and Fessy Shafaat headed a basketball charity game for Kevin Schlehuber, who is currently a recovering cancer survivor. The two Big Brother 20 contestants created an event specifically for Kevin and prostate cancer awareness. There was plenty of advertisement across social media and fans of Big Brother spread the word. It specified that a portion of the proceeds from tickets, food, etc. would go to Kevin Schlehuber. Kevin was flown out to Orlando where the game took place. Swaggy C claims to have gotten the cancer victim an Airbnb to stay at. The game reportedly made over $10,000 and was a huge success. So why did the cancer patient only get a measly $500? Earlier this week, one of Kevin Schlehuber’s daughters, Illiana Schlehuber, posted on Twitter that her dad was sent only $500 from the proceeds. While the family was grateful, they were also disappointed. The event first supposedly made $6k and later over $10k, as Swaggy C confirmed. Meanwhile, Kevin paid $800 for his airfare to Orlando which was reimbursed. And then he was sent $500 more. That’s a total of $1,300 out of thousands of dollars raised. 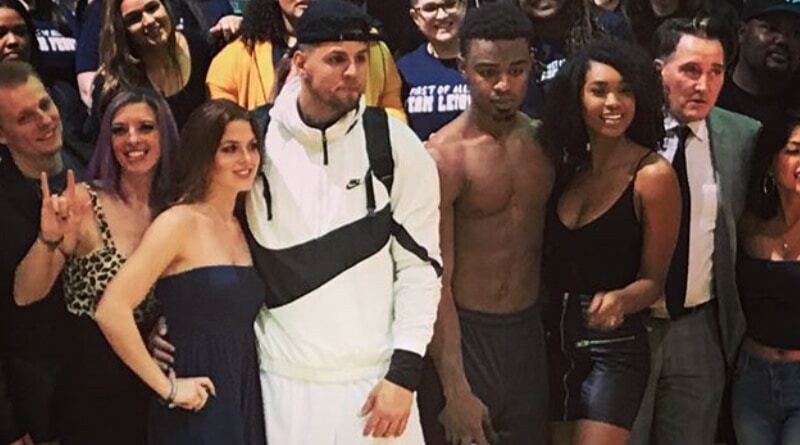 The Twitter thread blew up last night when Big Brother fans noticed it and it eventually made its way to Bayleigh Dayton, Swaggy C’s fiancee, and fellow Big Brother alumni. Bayleigh tried to defend her soon-to-be-husband by spouting off excuses and even threatened Kevin’s daughter. Bayleigh’s take was that people were trying to take advantage of Swaggy C! Big Brother star Bayleigh Dayton was the first of the trio to respond to claims from Kevin’s daughter. Bay tweeted that she was disappointed in people always taking advantage of Swaggy. Illiana Schlehuber fired back with a screenshot of that tweet that she was also disappointed that people her dad calls “friends” use him for his cancer. Bayleigh then tried to directly contact her, which did not go well. 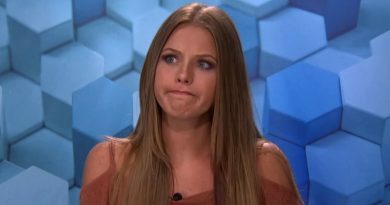 The BB20 houseguest told Illiana Schlehuber to “take your tweets down or we will have a serious problem”. Those words seemed to be an open-ended threat. Kevin’s daughter was not deterred and screenshotted the direct message to share with fans. Kevin Schlehuber has yet to directly address this whole thing. We all know what a great guy he is, so it is possible he just does not want to offend anyone. Mathematically, something about receiving $500 dollars from a $10K fundraiser to benefit that person seems iffy. Swaggy C claims that they had to pay vendors, venue and other things, but often, those things are donated or obtained at a low cost for charity events. Meanwhile, Swaggy C posted a YouTube video trying to explain the situation and reportedly spoke to Kevin on the phone. Be sure to follow Soap Dirt for the latest up-to-date Big Brother news and more!